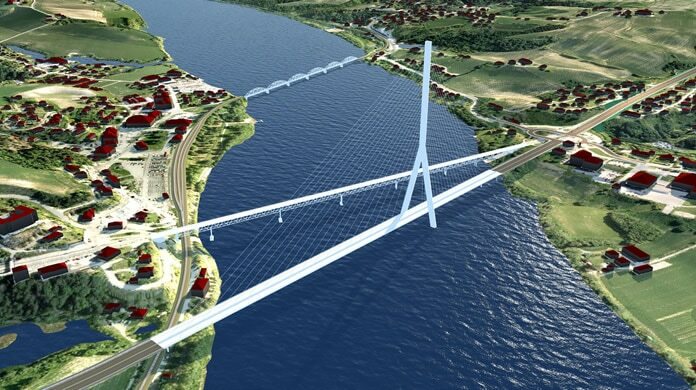 Multiconsult AS, a leading firm of consulting engineers and designers in Scandinavia, used Autodesk Building Information Modeling (BIM) solutions to develop early-stage designs for a large transportation route expansion that also included a new bridge. Using InfraWorks civil infrastructure design software, the team developed multiple alternatives and visualizations more quickly and cost-effectively. Using Autodesk BIM for infrastructure workflows, the team was able to quickly aggregate data from disparate sources, and then develop and simulate multiple preliminary design alternatives in the context of the existing environment. Using an intelligent model, instead of 2D tools, gave the team time to develop 17 road alternatives and 8 bridge designs. Multiple alternatives provided more insight earlier in the planning stages. Unlike presenting in 2D, the data-rich 3D visualizations made possible by Autodesk BIM for infrastructure software provided a clearer view of the design concepts, raising the quality while meeting time and cost limits. Multiconsult demonstrated how different options could reduce traffic congestion and how the bridge would look from various locations. High-resolution animations were posted on the website to help explain the proposals.